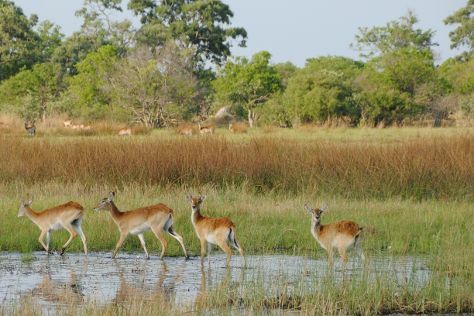 Spend the 20th (Wed) in the pleasant surroundings of Moremi Wildlife Reserve. There's more to do: snap pictures at Khwai River Bridge. To find maps, where to stay, ratings, and more tourist information, read Okavango Delta attractions app . In March, daily temperatures in Okavango Delta can reach 36°C, while at night they dip to 22°C. On the 27th (Wed), you'll travel back home.